April Gerard calls northeast Indiana home and writes under the pen name, A.L. DeLeon. She is the author of the upcoming fantasy novel, Blue, to be published with Dragon Moon Press in 2018. 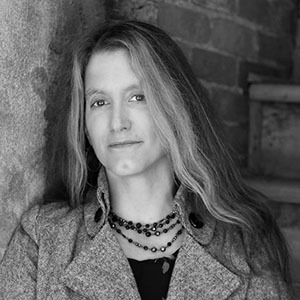 She writes primarily fantasy and science fiction, but occasionally dabbles in poetry, contemporary, and non-fiction. A former non-profit director, April has a background in small business management, foreclosure prevention, financial counseling, and housing issues that affect all. She has a passion for education and helping others achieve their goals and dreams. She loves the arts, traveling, and outdoor activities such as kayaking or hiking. She also spends much of her time between her local coffee shop where she writes and with her three children.